Trying to translate the concept of Configuration Management for those who do not understand its efficacy is like explaining surfing to an Inuit. It is simply not an inherent part of their culture. Without question, the benefits of Configuration Management can be challenging to grasp to the uninformed. One of the best ways to understand the benefits and use cases is to learn from other enterprise's experiences. Here at UpGuard, our customers have quickly learned how effective UpGuard is at giving them the visibility and accountability they need, and doing so in a simply way that promotes collaboration across stakeholders. They wonder how they ever got along without it! Don't believe me, then let me tell you a little story. One of our current customers, OnePath, came on board in 2009 when they were known as ING Australia. 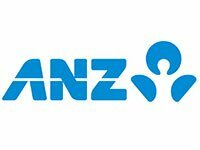 The parent company, ANZ, has since become Australia’s third largest bank. ANZ’s challenge was considerable; having just acquired ING, they needed to migrate the entire ING data center to their own with no downtime for their new customers. We are talking over 160 servers, 180-plus applications, with more than 80 TB of data. The ING principals contacted us to see if we could assist. It turned out that UpGuard was a perfect solution. Check out this short video to learn more about UpGuard. As you might imagine, we pulled it off without the slightest of glitches. We knew that the only way to ensure 100% uptime was to get the job done in one weekend, between the end of business Friday and the doors reopening Monday morning. If you presented this same scenario to a large, entrenched enterprise with traditional data center infrastructure, procedures and silos of work, they would likely tell you it would be impossible to do in under a week. With UpGuard, however, ANZ eliminated redundancies, crosschecking errors and traditional ops issues which led to the the actual migration being completed in 30 minutes. And the cool part was how simple, easy and fun the configuration management process was for all involved. "UpGuard was invaluable! The ease of use combined with the ability to capture and automate the execution of configuration tests bought us time." Is UpGuard Right for You? Many enterprises assume that it is enough to run with IT automation tools. However, we constantly tell our customers don't automate what you don't understand. In the case of ANZ, they took that mantra to heart and got the visibility they needed before automating anything. The easiest way to find out how UpGuard can benefit your enterprise is to let us schedule a no-hassle personalized demo. We'd love to show you the ways UpGuard simplifies configuration management so that you can focus on shipping features (or in ANZ's case...migrating data centers), not fixing configurations.